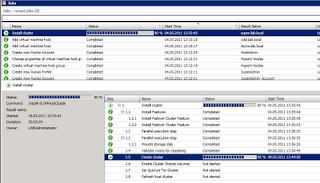 We will still be located in the Fabirc, and creates our cluster from here. 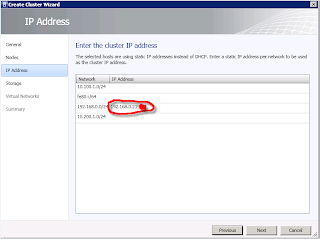 You`ll need to provide a name for your cluster. 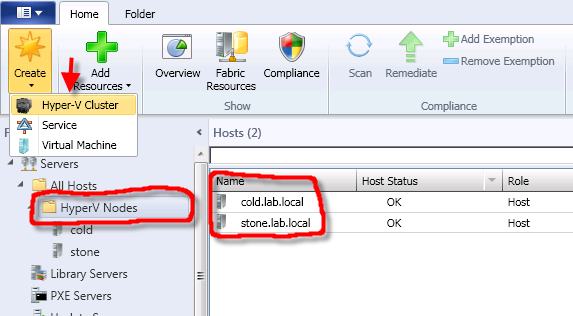 Remember that the credentials for creating the cluster, should be local administrator on both nodes, and have permission to create computer objects in Active Directory. 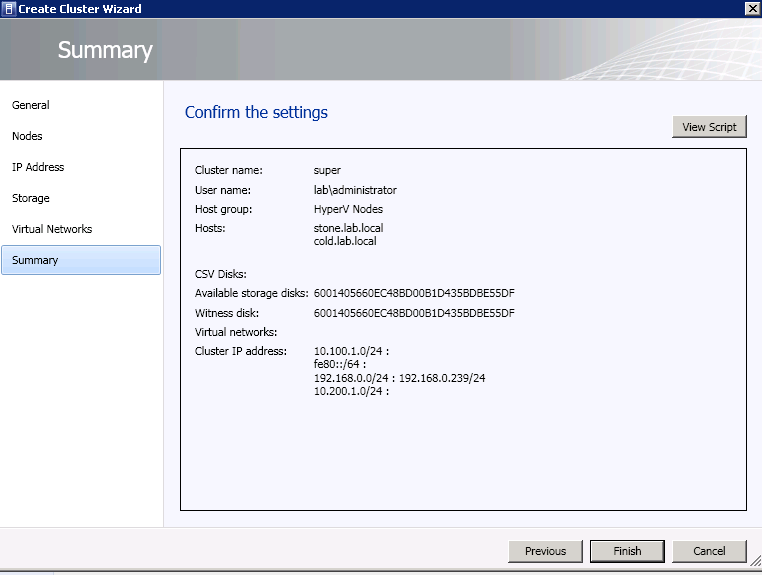 Find the host group you where your available Hyper-V servers are located. You are free to select the number of servers you want to cluster, and add them to the right pane. 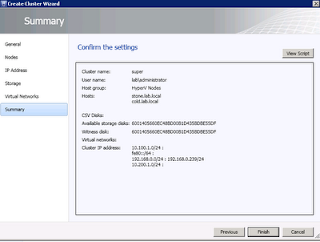 And again, the summary summarizes the settings you have chosen. 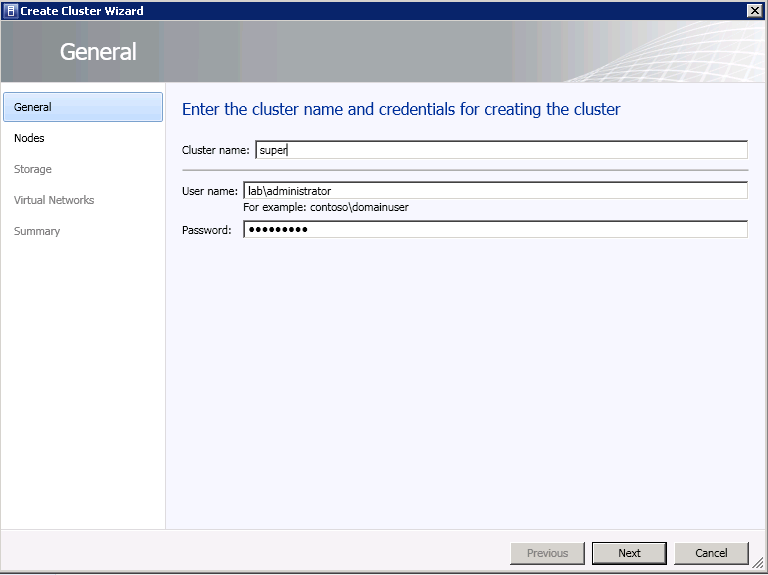 If we take a look at the Job that VMM is currently processing, we can see the steps that are required to create the Failover Cluster, and can monitor the entire process. 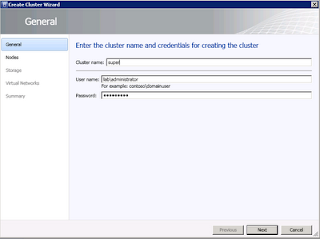 (If some of the steps fails, it will notice you in the end, and you can also access the well-known cluster-log in %windir%\cluster\reports). 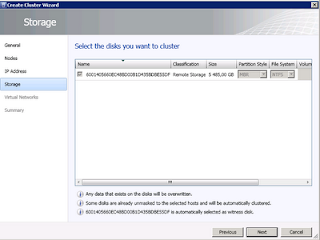 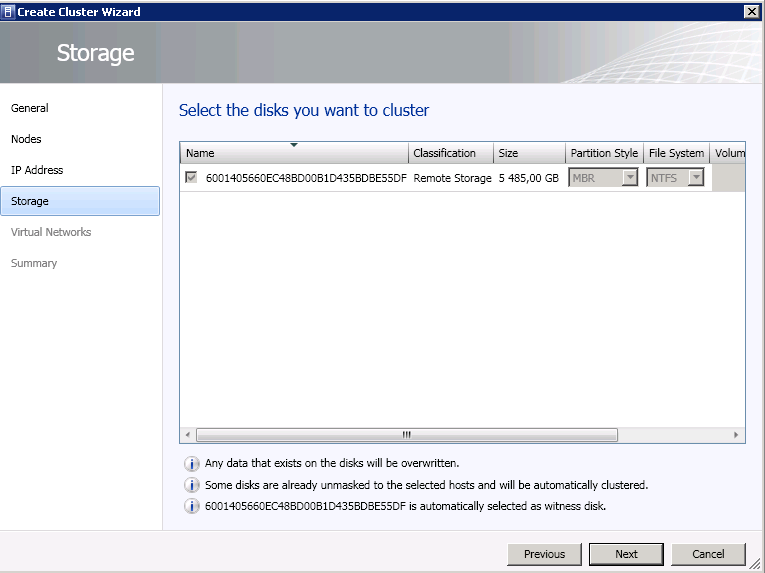 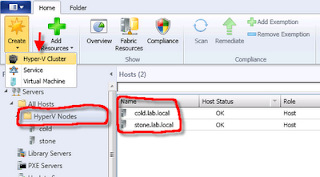 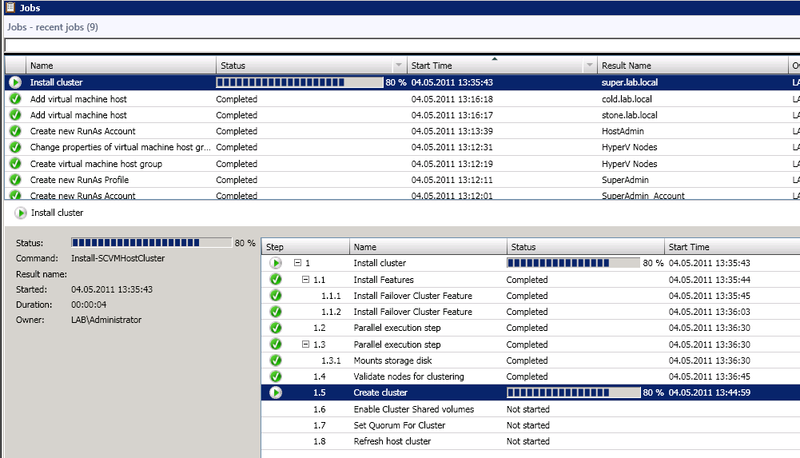 We have now successfully created a Hyper-V Failover Cluster with VMM 2012.